Through grants and generous donors, our local Nicaraguan doctor conducts daily clinics in two locations serving a community of 20,000+ people, spreading hope through providing visits and our donated medicines as necessary. Our clinic operates under the auspices of CARITAS. We have trained over 30 First Responders, spread out over multiple communities and who, in turn, give us statistics on the most common illnesses and also refer their neighbors to our clinics. Additionally, when our mission groups are on the ground, we conduct community health fairs. We have a relationship with Loma Linda University (CA) dental program as well as Centre de Formation Professionnelle 24-JUIN from Sherbrooke, Quebec (Canada). In 2017, we set up the first weekly dental clinic with generous donations of equipment from the North Country and the skills of a former sponsored student who continued his education and is currently a dentist working in Managua, volunteering his time with Mission on weekends. Whether it be international aid or your local pharmacies and individuals, we channel these donations to local Nicaraguan hospitals, clinics and organizations with which we have a close working relationship. These include Children’s and Women’s hospitals, a poor mountain town hospital, a disability center, an inner city free clinic, a dermatology center, multiple orphanages, and our two rural community clinics. We conduct water analysis, parasite screening, and various screening clinics. We continually re-evaluate our efforts to address public health needs while also maintaining our focus on touching lives – one at a time. Through our partnership efforts with various international agencies, and your medicine and medical supply donations, we have been able to help families in Nicaragua live healthier lives as primary healthcare medicines and supplies are scarce and very needed. If you would like to help us with this critical work, there are a number of ways you can get involved. 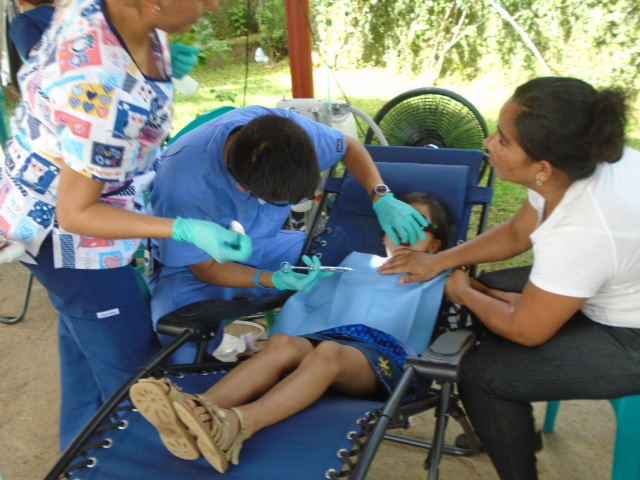 If you are a medical professional, we urge you to consider a mission trip. We need a team of doctors, nurses, and other professionals every trip. Money is always needed to help pay for services and medications in Nicaragua. And, finally, the donation of your time is always welcomed. Even if you’re not a medical professional or interested in going on a mission, we need lots of help. If you’re interested in volunteering, please see the Get Involved section of our site. Donations of health care and medical items are always needed. We believe that one of the best ways to establish a preventive healthcare program in a region of the world without one is to assist in providing some very basic items which, in turn, will assist in stopping the spread of disease and illness. We ask that you bring any donations to our warehouse in Peru (NY) on Wednesdays between 9am and Noon. Or you can mail a check to us at: North Country Mission of Hope, 3452 Route 22, Peru, NY 12972. Any prescription medicine: Please note that the expiration dates must be at least 12 months after our next arrival in Nicaragua. Please contact us for further information on our next mission date. One of our Mission of Hope projects is preparing and distributing hygiene/healthcare products to the families in Nicaragua at our Health Fair, when teams go on Medical Outreach and for each new home shelter owner. We believe that one of the best ways to establish a preventive healthcare program is to assist in providing the very basic hygiene items.